It’s Draft Week in the NFL and there’s no better source of information on the three day event than college football expert and author of the most comprehensive guide on the subject, Mike Detillier. The WWL 870 AM commentator shares his thoughts on what the New Orleans Saints need to do to reload for the 2018 season and how two high profile LSU players will fare in the draft. Let’s lead off with the Saints’ 2017 Draft Class- everyone agrees it’s one of the greatest groups ever picked by the Black and Gold, how would you compare with previous franchise draft classes and how much credit should go to Jeff Ireland? It’s still early, but it is the best draft class of the 2000’s for one team and the best draft class ever for the Saints if you are looking at it for a one-year haul. Getting the offensive and defensive rookies of the year in one class hasn’t been done since 1967 and then throw in Ryan Ramczck and Marcus Williams, along with DE. Trey Hendrickson, a starter until he got hurt in OLB Alex Anzalone, and a good developmental prospect in DL. Al-Quadin Muhammad. But Marshon Lattimore and Alvin Kamara are special players. Jeff Ireland sets up the initial board with the scouts. He has Sean Payton’s confidence in that he knows the type player the Saints want and he has enough backbone to stand up to Sean when he might want a player that Jeff doesn’t feel has the right fit for the team. But with that said, Ireland and the scouts give Sean and Mickey Loomis the board north and south and then they take the player ratings and they redo it east and west and figure out who is best for the team, who has issues they don’t want to deal with, maybe injury problems, and who fits best. It comes down to Sean and Mickey for the final board, but Jeff has been a very positive influence for the organization. I think Jeff’s best attribute is that he knows what type of players “fit” this team the best and relays that very well to Payton. Has the team’s front office done enough in the off-season with free agency to address the most pressing issues or will they need to rely on the draft for starters in certain positions? Well you can’t get every need spot filled in free agency so the draft is important and more important today than ever before. If you hit on a player or players you have them locked in at football minimal wage for 3 to 4 years. So financially the draft is paramount in building a team. Defensive end, tight end, defensive tackle, cornerback, wide receiver, and a young offensive lineman still need to be added via the draft. If the right quarterback is there you also have to consider him. And this team has placed a high regard for players with special teams gifts and that is important late in the draft. But the free agent signees take some positions off the “must” get early and it gives you some form of flexibility. 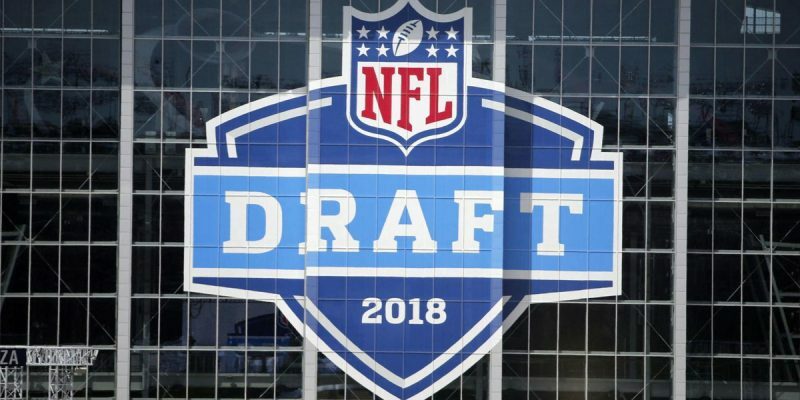 The Saints have a late first round pick and no selection until the Third Round- should the team consider trading down for picks or do they need to grab the best player available at the 27th overall spot? I grab the best player if you stay at 27 and the best value from what I see would be at cornerback or an interior offensive lineman, but I still firmly believe the Saints take a very hard look at upgrading their defensive line and even to the point of trading up to get a player like DE/OLB Harold Landry from Boston College. Shifting to the draft in general, if you’re the Cleveland Browns, what would you do in the first round? I would pick QB Sam Darnold from USC. He is smart, accurate with his throws, tough, a leader on and off the field, and he can make all the throws you want from a QB in the pocket. He has some mechanical issues to work out, but I would pick Darnold. I think like a lot of quarterbacks he tried to do too much last season and felt the pressure to play up to what he did in 2016 and it didn’t turn out nearly as well and had way too many turnovers. How many quarterbacks do you see getting taken off the board in the first round? Five. Darnold, Josh Allen from Wyoming, Baker Mayfield from Oklahoma, Josh Rosen from UCLA, and Lamar Jackson from Louisville. I think all 5 go in the top 20 picks. Who will be the first LSU player selected? LSU RB Derrius Guice goes in Round One late and he is one good football player and in a draft class that could have as many as 7 rookie starting halfbacks hit the NFL in one season. Do the Saints try to find a quarterback at some point in the 2018 draft or do they not think it’s not a necessity with Drew Brees under contract? It just depends on how it falls for the quarterbacks, but I wouldn’t pick a quarterback to just say I picked one. I want someone who can play at the NFL level. I really like Kyle Lauletta from Richmond and Chase Litton from Marshall as developmental QB’s. LSU Defensive End Arden Key has seen his draft stock plunge- will he fall past the first round and in light of his problems, is he worth the risk in the first round? No team will pick Arden Key in Round One. He has pass rush skills as a 1st rounder, but his off the field issues tumble him. But it just takes one team. You just have to win one precinct and not win the entire NFL. I think he goes anywhere from the middle of the 2nd round to the middle of the 3rd round. The question of trust is there about Key.